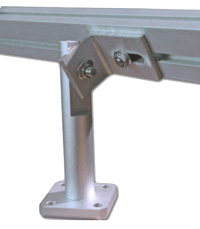 Flat Roof Mount Standoffs combined with an L Foot can give your system any required pitch . Stainless Steel and aluminum design help to prevent corrosion (rust) and maintain high strength. 4 hole mtg.